We are always looking at fresh new approaches to learning and will change with the world. Our goal is to use the theory of multiple intelligences to allow children to learn about themselves and how they fit in their environment. They will also learn what matters to them and to others socially and naturally, how to interact with peers, develop self-confidence, build self-esteem, and participate in the setting. Our school will be designed to accommodate these intelligences in an open planned environment with good staff – child ratios. 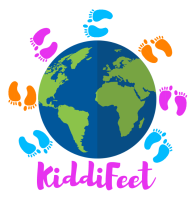 KiddiFeet 'taking small steps, in a new world' is our motto and here is why. Our staff will be helping the children develop in the ever-changing world we live in today. We will take the children's hands and let the children lead the way on their individual journeys, into the new world. We introduce the children to the world safely, so they can experience and adjust to the world at their own pace, feeling safe to take risks with our guidance and reassurance. We with the children, will create video diaries of their experiences and capture their whole learning story for them to share with their loved ones. We are extremely passionate about child development and strive to help families achieve success with their children's developmental progress. We are devoted to giving high standards of care, a healthy working environment, and a relaxed space for both staff and children! KiddiFeet Oy will supply care on a contracted agreement of 12 months (01.08 - 31.07), although if your contract starts during the year you only pay from the start month until 31.07.
all insurances for the children and the staff. An application fee (150€) is charged and a non-refundable security deposit of €400 (full time) is payable before the child starts. The deposit is held until the first instalment from KELA and Espoo has been received and will make up the first month’s instalment. Also special negotiations can be made by contacting the owner. meals, including a healthy breakfast (a.m. only) and snack/ afternoon periods include a snack and the children must have been supplied a lunch before they attend. KiddiFeet reserves the right to change the terms to accommodate the safe operations of the kindergarten. All contracts are valid until the 31.07 regardless of when the child starts and is subject to an agreement to pay for the entire contract period. There are no deductions made for absences, this provides you with security that we cannot sell your child's place. July we are closed for Summer holidays, we are closed for the Christmas period, and also for other public holidays. Any parent wishing to end a contract between 1st August to March 31st, may do so with just the normal one calendar month's notification, before the leaving date. Contracts that need terminating before the full 12 months, must have permission to do so from KiddiFeet ONLY if the termination is between April 1st to July 31st. The reason for this is to allow for the possibility of the place being available to another child. Here is a list of the amount of support you can apply get from Espoo and Kela. Others that live in a different city will need to contact us for the relevant link or you'll find it on your own city's pages. Those that don't apply, will need to pay the fees in full, those that recieve it will only need to pay the difference. When you have decided to join us and want to receive the support from Kela and your city, you'll need to fill this form. You can do this on-line through http://www.kela.fi/web/en/private-day-care-allowance-how-to-claim by signing in using your banking codes, or by downloading the form below. Here is our application form for you to complete. If you need a different format, please contact us using the email address or the contact form. Customers wishing to make a complaint, below you can download our 'complaints policy'. Parent's wishing to apply for more than 20 hours may follow this link.